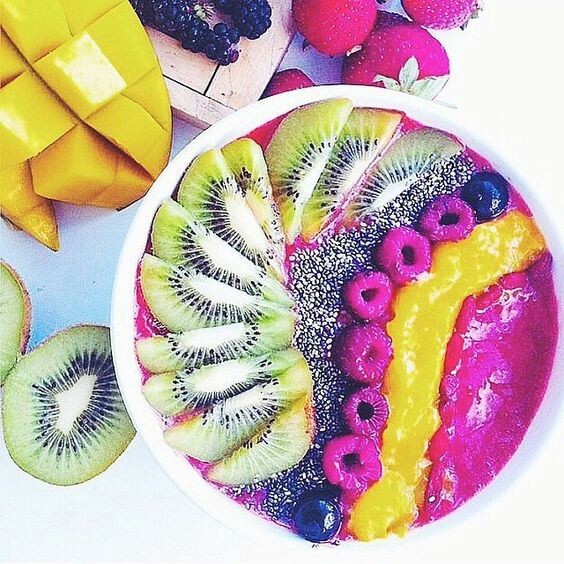 It’s perfect for smoothie bowls and packed with nutrients. 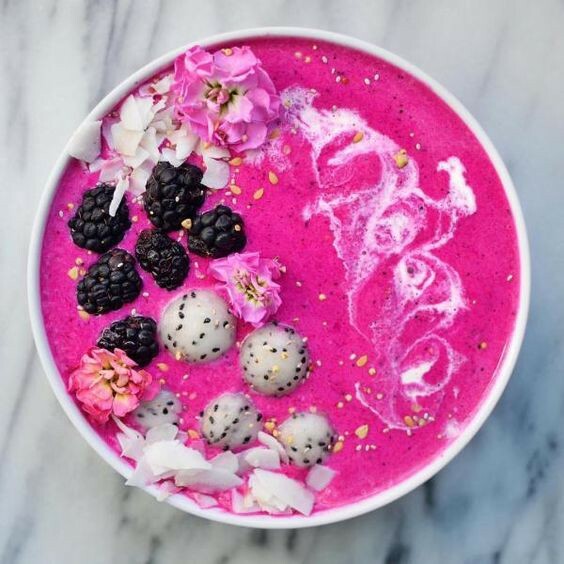 It’s played a backup role to açai for a while now, but pitaya is making its move into our feeds with its undeniably attractive hot pink hue. 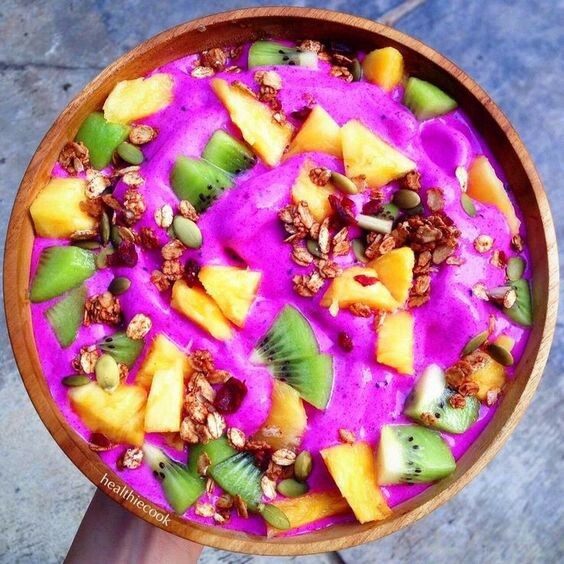 Pitaya is a bright artichoke-like fruit that grows on cacti native to Central and Southern America. Thanks to its recent rise to fame, it’s now farmed all over the world. With loads of nutritional benefits (Iron, Magnesium, Antioxidants, Vitamin B & C, Fiber etc. etc. 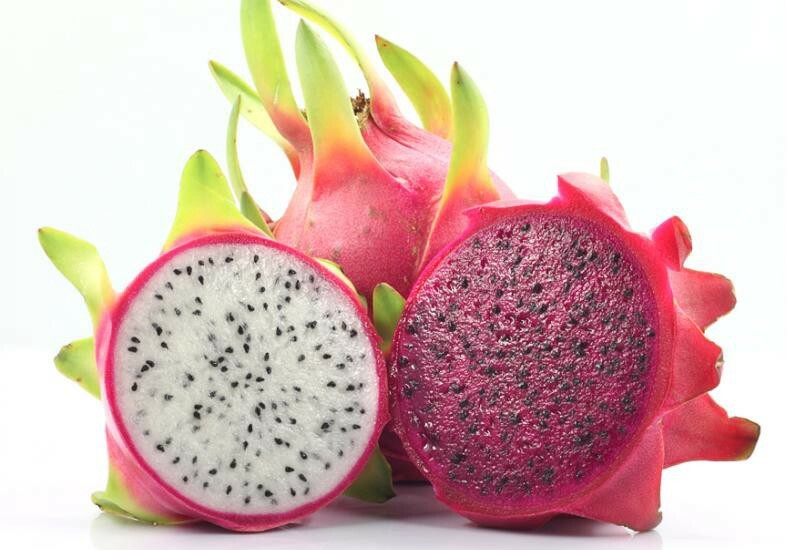 ), the red-flesh fruit has taken over reigning superfood status with hot-pink gusto. 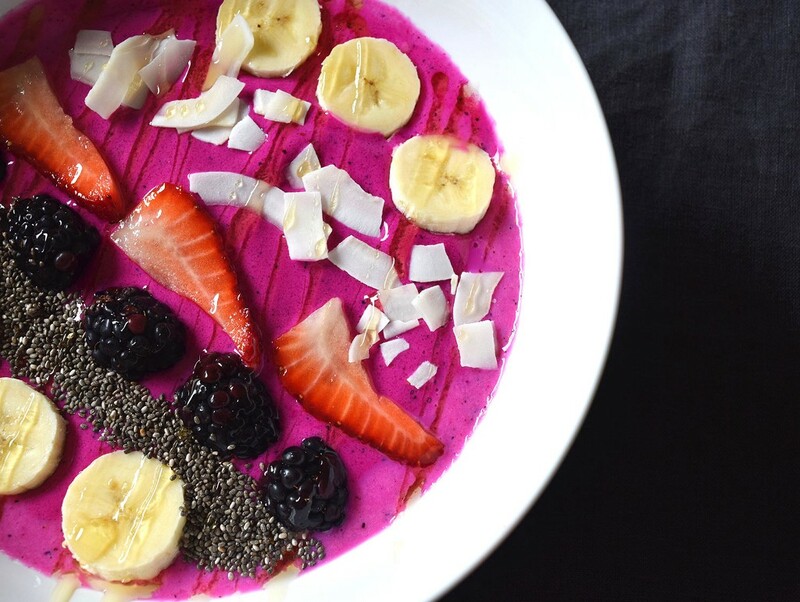 Pitaya is perfect for a smoothie bowl base not only because of it’s bright color, but because of its light flavor that pairs wonderfully with other fruit. Some describe it as lightly as kiwi or as sweet as watermelon. While you can find the fruit in the produce section of some markets, it is also widely sold in the frozen food aisle as pre-diced frozen cubes ready to blend into your morning smoothie. For the sake of your stomach—and your Instagram followers—it’s worth a try.